Safety is a primary concern for the police fire and EMS worker. Their jobs are dangerous enough and without the correct protective gear. External vest carriers can make a difference in so many situations. These 5 tips will act as a guide to finding the right vest carrier for all emergency response personnel. • Home Land Security. Many of the vest carriers are certified and authorized by Homeland Security Grant Program as Personal Protective Equipment (PPE). This means than they offer some protection against certain hazards similar to the Kevlar vest. • ANSI 107-2010. This is the standard created by the American National Standard that rated vest for high-visibility safety. A vest that has this will be well seen at a 360o angle, ensuring that passing motorists and other people can readily see the wearer. Does the vest break-away easily, so that the possibility of entanglement is reduced? For police officers especially this is important. There is always the potential of getting hung up on a vehicle mirrors when a vehicle attempts to take off after being stopped. Also, a break-away design will prevent attackers from using the vest as a means to hold the police officer down so that they can do bodily damage. Why is it important to know the fabric of external vest carriers? Most emergency personnel work in all types of weather. Coupled with the amount of gear that they are required to wear, adding a heavy or non-breathing fabric may make some not to wear them. There are several light-weight breathable fabrics that these vests can be made from. • Blauer’s B Bright. This means the vest is designed to provide additional visibility. This may include color-blocked designs and silhouetting, and the use of hi-visibility fabrics. • 3M Scotchlite reflective material. Long recognized as the leading manufacturer of high performance retroreflective material, it increasing nighttime visibility by concentrating light sources and reflecting it back to the source. A company or individual is not going to spend the money on something whose colors will fade quickly. Colorfastness means that the vest can be used for long periods of time. Buying PPE in the form of vest carriers is something that every emergency response system must do. 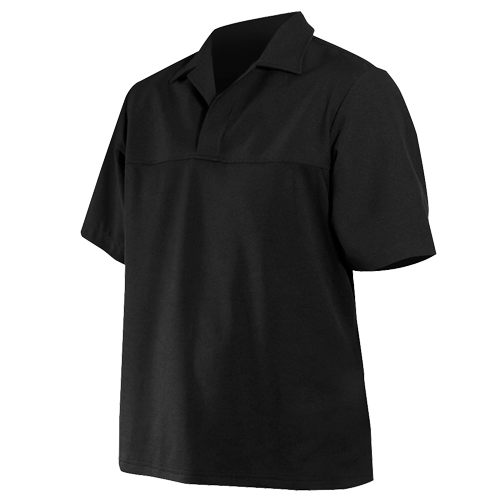 Considering these factors, you will find that Blauer offers the highest quality in all of your departments uniform needs.